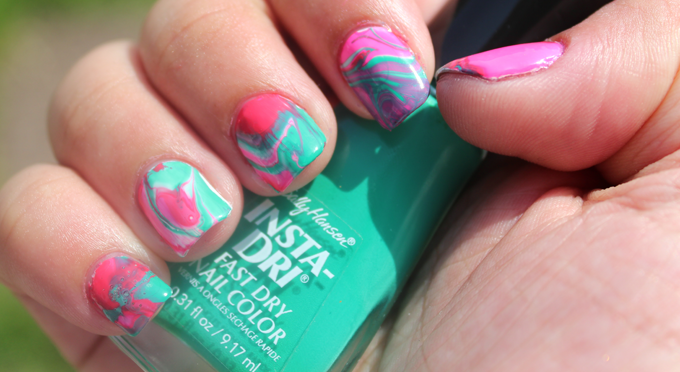 Past three evenings I've attempted water marbling nail art - it's not as easy as it looks! Yesterday I decided I'm going to try it one more time practice makes perfect right!? Every attempt is one step closer to self perfection. Well mine wasn't self perfection but it appeared better than my other attempts. I think my number one thing is trying to get a pattern so my nails currently resemble a tie-dye shirt.